William Kruetz There are 4 products. 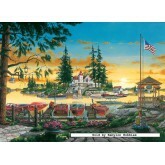 A 750 pieces jigsaw puzzle made by Masterpieces (reference 61017). Size: 45 x 60 cm (= 17.7 x 23.6 inch). Special series: William Kruetz. In stock and ready to ship out. 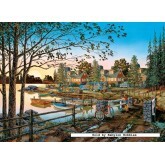 A 750 pieces jigsaw puzzle made by Masterpieces (reference 61019). Size: 45 x 60 cm (= 17.7 x 23.6 inch). Special series: William Kruetz. In stock and ready to ship out. 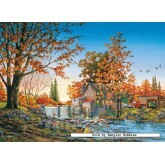 A 1000 pieces jigsaw puzzle made by Masterpieces (reference 70824). Size: 48.9 x 67.95 cm (= 19.3 x 26.8 inch). Special series: William Kruetz. In stock and ready to ship out. 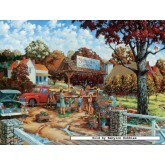 A 1000 pieces jigsaw puzzle made by Masterpieces (reference 70825). Size: 48.9 x 67.95 cm (= 19.3 x 26.8 inch). Special series: William Kruetz. In stock and ready to ship out.